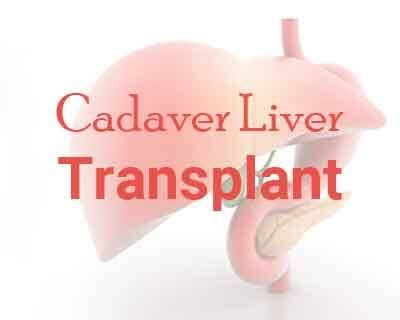 Kolkata: Bolstering efforts to carry out cadaver organ transplants in West Bengal, a team of doctors at a private hospital, performed what is possibly eastern India’s first such liver transplant in the city, the hospital said in a statement. Family members of a 53-year-old male patient – Samar Chakraborty – who was declared brain dead on Monday assented to the procedure to transplant the liver that is expected to bequeath a new lease of life to a 46-year-old female recipient with liver damage. The liver, the most important solid organ in the body, was transplanted to 46-year-old Madhuri Saha, a patient with a known case of autoimmune hepatitis, decompensated cirrhosis, ascites, hepatic encephalopathy and hypersplenism by a team of doctors at the Apollo Gleneagles Hospitals. Following the necessary tests to validate an adequate match, gastroenterologist Mahesh Goenka and his team undertook a successful harvest and transplant of this vital organ. Chakraborty had a history of diabetes and hypertension, and was suffering from chronic kidney disease. Admitted only recently at a hospital in north Kolkata with Intra Cerebral Haemorrhage, he had gone into a deep coma, suffering irreversible brain damage. He was shifted to Apollo, where a panel comprising leading doctors from the hospital and the health department of the West Bengal government evaluated his condition and declared him brain dead. The family consented to multi-organ retrieval, and following the completion of necessary formalities regarding blood type and stability of the organs, the process was undertaken. Last month, a 70-year-old brain dead woman here bequeathed a new lease of life to four persons, with her kidneys and cornea successfully transplanted in the city’s first multi-organ cadaver donation operation. Patients\’ names cannot be published and Medical Dialogues have violated Patient Privacy and can be taken to court for this unethical action.